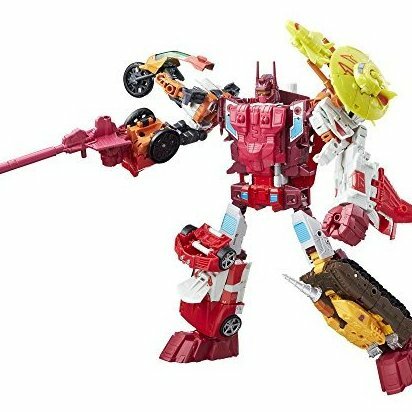 Combiner Wars Computron Pack includes 6 Technobots figures. Figures combine to build a Computron figure. Each figure converts from robot mode to vehicle mode and back. Figures work with other Combiner Wars figures (each sold separately). Comes with a poster and collector card. Includes 7 figures, poster, collector card, 12 accessories, and instructions.